Spacious two double bedroom semi detached property located in Norwich Avenue, Whitleigh. 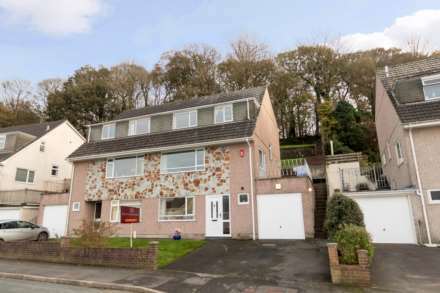 Accommodation comprises; entrance hallway, lounge, dining room, recently fitted modern kitchen, downstairs cloakroom and utility area to the ground floor with two double bedrooms and modern fitted bathroom to the first floor. The property benefits from uPVC double glazing, gas central heating and a good sized south facing rear garden with generous gardens to the front. Steps leading down to accommodation with garden laid to lawn to the front and gate offering access into the rear garden. Larger than average rear garden with a southerly aspect which is predominately laid to lawn with a stone chipped area ideal for summer entertaining. A variety of shrubs and trees provide a degree of privacy.